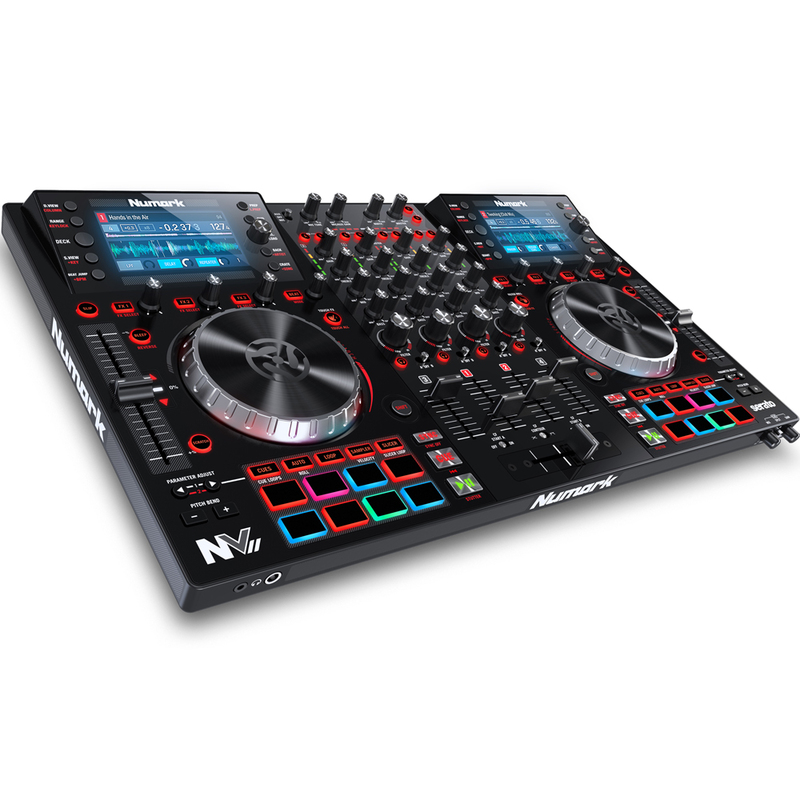 The Numark NVII builds upon the NV’s innovation, quality and performance, taking it to an even higher level. 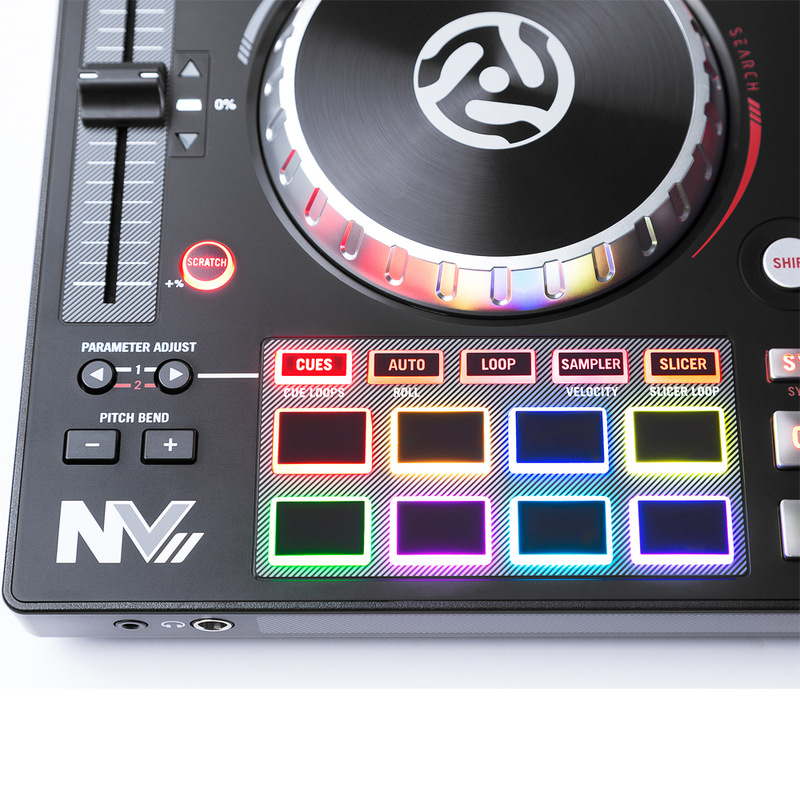 The NV II adds gridlines on the screens so DJs can visualize the beat of their tracks more accurately. In addition the NV II adds 5-column sort options for the music as well as additional columns of KEY, BPM and TIME. 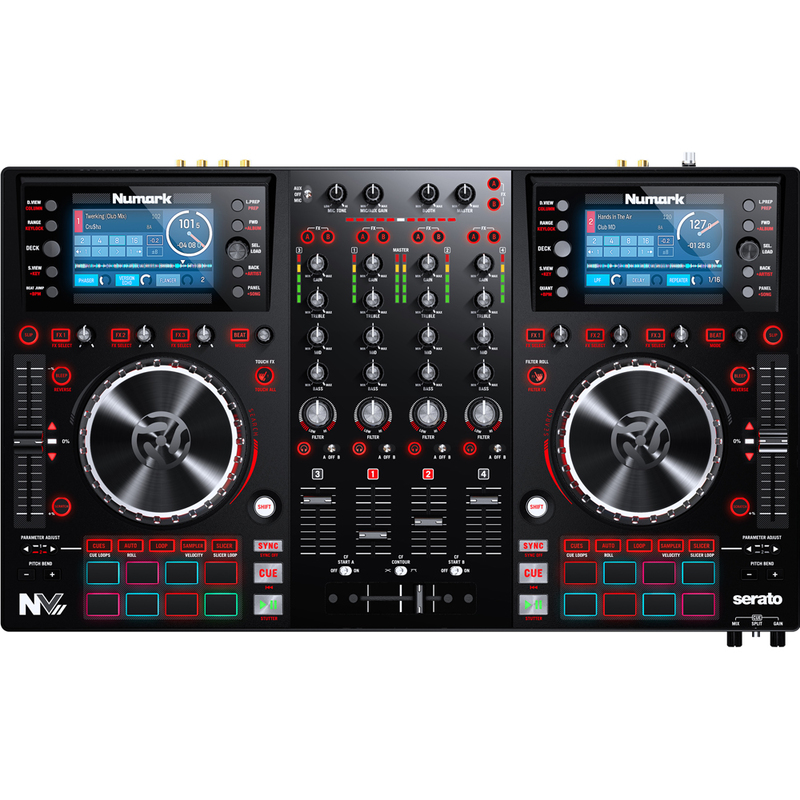 That makes it much easier for DJs to keep the music moving, without diverting their attention from the action. 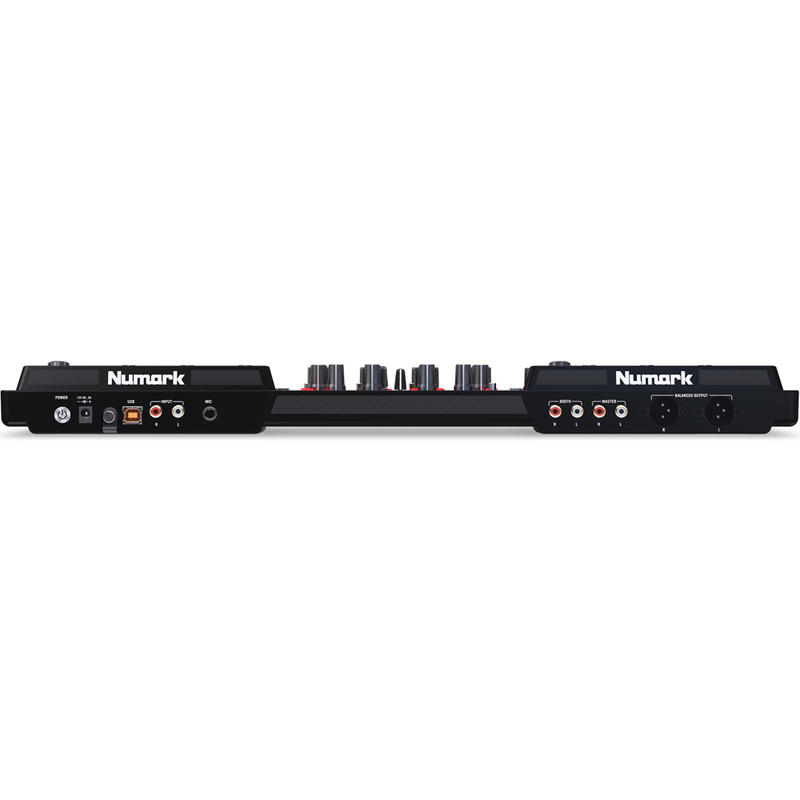 Exclusive to Numark are the NV II’s dual, highly-advanced touch-capacitive jog wheels. Touch-capacitive means that the platters actually sense the DJ’s ‘style’ of use and they adapt themselves to that individual user. They “remember” how fast or slow, subtle or hard the DJ uses the platters and they provide the exact amount of adjustment based on past usage. The platters become an extension of the user’s personality and DJ’ing style. 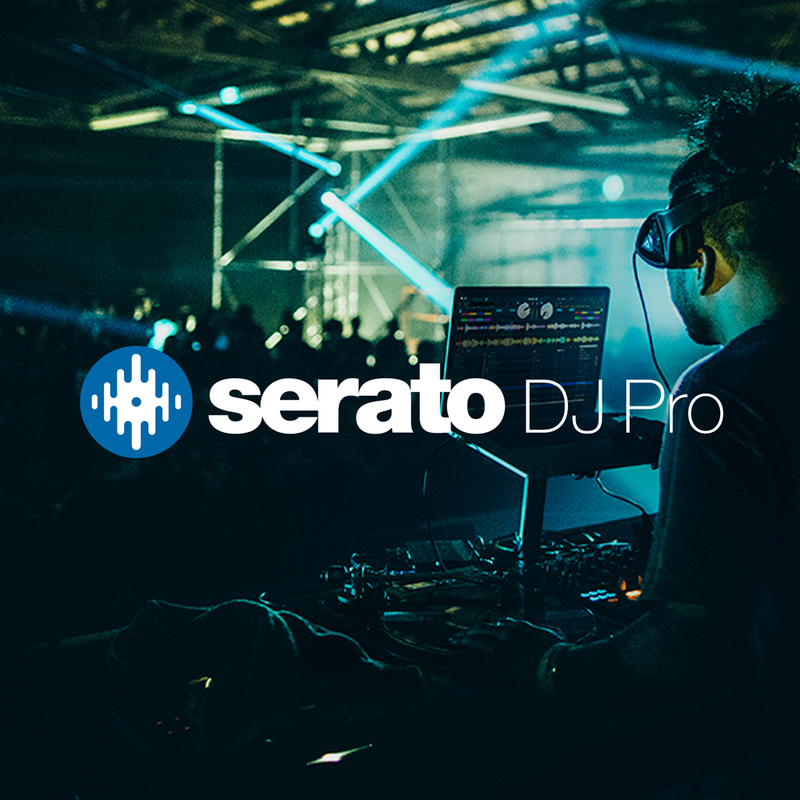 Includes Serato DJ Pro software full version. 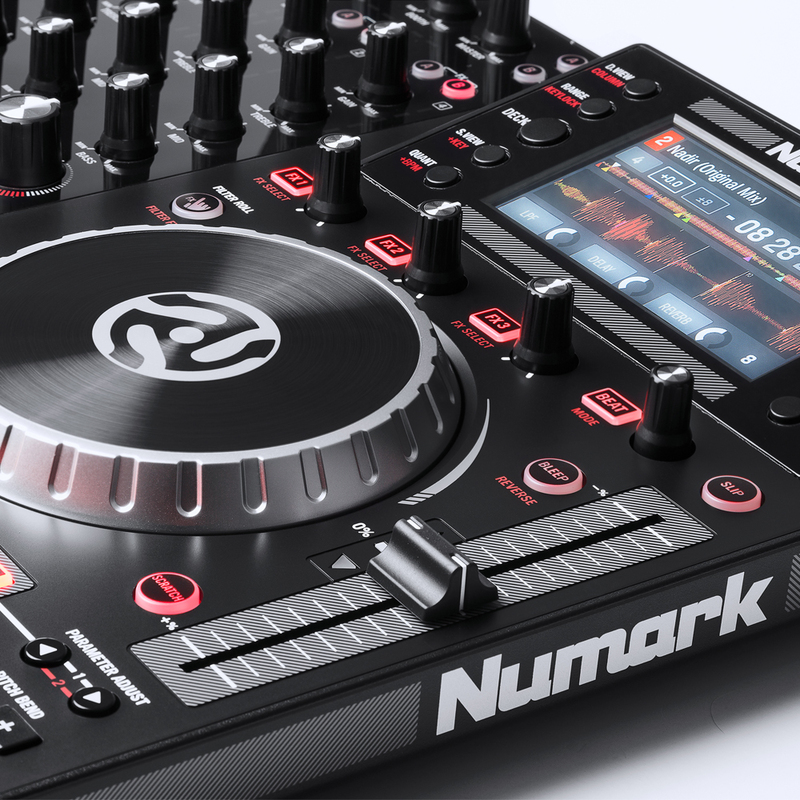 Numark have tweaked a few things from the NV. I'm just getting use to this piece of kit, so bit early to give a detailed review. First impressions is it's going to be an awesome to use.